Solidarity with workers in Iran! 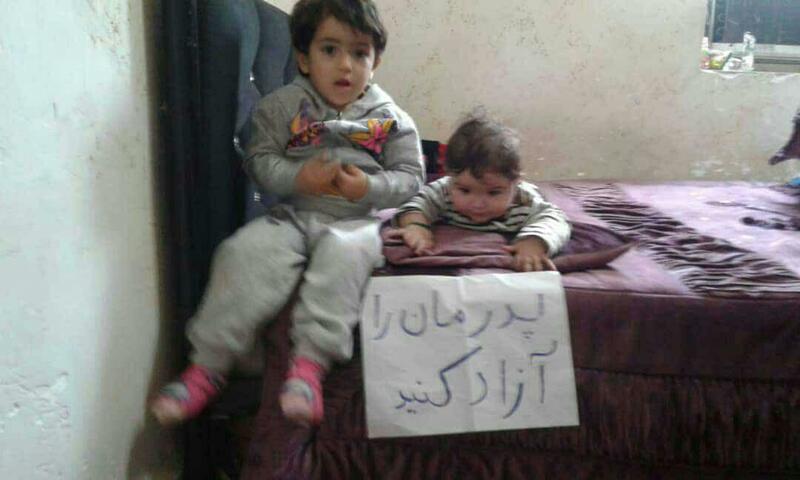 The children of Seyyed Hassan Fazeli on November 21st holding a placard calling for the release of their father, a jailed workers’ representative at the Haft Tappeh Sugar Cane Company. This entry was posted in Political prisoners, Workers' struggles. Bookmark the permalink. Remember Shahrokh. Build a movement. Esmail Bakhshi’s life is in danger!